Blogging is one big mystery to people who don't blog. If you blog you hear these types of comments "what's a blog" or "isn't that when you talk about yourself a lot?" or "I am much too busy to read those all day" or "it seems so narcissistic" or "I guess you need to express yourself somehow". I can only speak for myself but after blogging for one whole year, almost 200 posts, I want to tell you this................pay absolutely no attention to any mysterious remarks about blogging. In fact, just let it be, smile to yourself, and if need be just keep this delicious blogging secret to yourself for now. Continue blogging until your heart is content. If you have words to say, say them and someone here will hear you. This is what I now think about blogging. It doesn't matter if it is a small blog, a boring blog, a big blog, a popular blog, it matters that you express yourself and find those people who hear your words. Isn't that the point of it?......to have our words heard, to know that we are not alone, we aren't as strange as we thought? The world is a small and large place at the same time. In your smaller world you can be surrounded by people who know you well, but can't possibly hear every word you have inside. This might not be intentional, it can simply be that you speak a different language, you need to seek out other conversations from time to time. To some, blogging can be a huge waste of time, a sign our world is becoming one continuous loop of social media, one more way of distancing ourselves. I beg to differ, I have never felt more connected to a continuous thread of women who speak my language, who inspire me, who hear me and for that reason I smile to myself a lot these days. I admire creative women of all expression. I also feel a kinship with them because I think the creative world can sometimes be a lonely one. That seems like a strange thing to say but creativity is so personal, so subjective that the chances of finding other people who speak the same language within our smaller world is quite unlikely. The challenge with creativity is not only does it need to be expressed but it needs to be shared........to grow, to develop, to blossom. You hearing me? To read or write a blog doesn't mean you don't have real "live" friends, I think it simply means you want more of them. When you blog, there are circles and circles of support and understanding that surround you if you open a sincere heart to it. I am immensely grateful for the second time in one week, I admire and adore the women I have met in the past year through blogging. You know who you are, you are fellow bloggers, readers, followers, subscribers, emailers that have touched my heart in no small way. It matters not that I have not met any of you personally, that I could pass you on the street, that you are on the other side of the world. I want you to know.......I hear you each and every one of you. I am a blogger and I love my new friends. A lovely post, a lovely blog, and a lovely person. Congratulations. I know as one of your followers we are all delighted that you have found this creative outlet and voice. Keep up the great work. Great post and fabulous pictures !! kisses from blogger to blogger !!! That was absolutely lovely and said it all. I just think that it's great to talk to people and have a bit of a laugh. I have always been someone who laughs a lot. I think that it's the best medicine in the world and, I can often laugh when on my own, over a comment that I have had or one that I have read on someone elses blog. .... and it's so lovely to connect to people all over the world. Wow! I am blown away by the eloquence of this post and the timeliness of it. I also started my blog one year ago and I feel the same way. Nobody gets it. I can't tell you the number of times in a day that I say "a blog friend sent that to me" or "a blog friend gave me that recipe" or fill in the blank, and I always get that look like, "huh?". It even sounds funny to say, but now I'm used to it. So Happy BlogBirthday and may you enjoy many, many more! I totally agree with you and believe you said it beautifully!! Happy anniversary on your blog! I agree...it is difficult to explain to those who don't do it. I wrote on another site for 3 years, before blogging. My mom still says to me, "why do you put all of your personal stuff...out there?" Well, we know that isn't what it is like...it is community, sharing, helping and learning. I love it! Happy Blogiversary. The illustrations for your post are so clever, apt and charming!! I so agree with your comments about blogging. When you have an interest you are more likely to find someone out in the world who shares your interest. If you wrote for a magazine, everyone would take notice. Laissez les bons temps rouler. Perfectly said! Love all the little computers added to all the beautiful old pictures. COngratulations on your blogaversary and here's to another 200 delightful posts. Congrats on your Blog Birthday! That was a wonderful post. That was a lovely way to describe our community. Sande, your post was spot on and spoke to me in a way that I've never quite been able to express myself. I hung on every word you said, and you said it all so perfectly! I love your insights and how you just put it out there for all of us to share with you! You have so much love and wisdom in everything you do and say and I love you for it!! Thanks so much for a "perfect post"
This post certainly rings true...I blog and have kept it a secret to some who share that same idea, too busy, too much navel gazing, venting etc. I have found so many creative and talented bloggers out there, to me it is like reading a book or magazine but with an interactive feature that is very human! Plus there are connections and common threads, friends in fact! Happy anniversary of your beautiful blog. Happy blog birthday Sande...May we bloggers have many more exchanges, xv. I agree with everything you say in this post, and I must add that this post is very well-written and rings true with so many of us. You should consider submitting this article to Somerset's Artful Blogging magazine...Just a thought. Tomorrow is my blog birthday. It is so strange to me that we didn't even know that each other existed yet we both set out on this unknown adventure a day a part from each other and then a few months after our beginning discovered one another and have shared this journey together. SANDE,very glad to know you. You are so on-the-money! 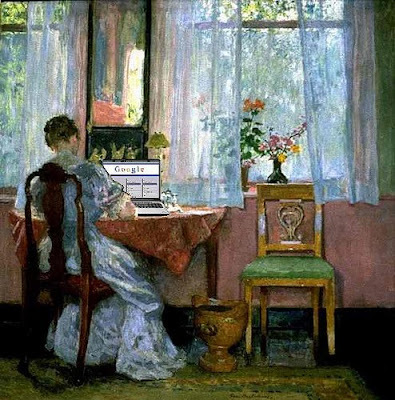 And the computers added to the impressionists paintings ~ brilliant! Can you imagine if they were able to have computers then? People love blogs, they are impressed by blogs ~ they just don't know what to do with blogs, lol. I was one of those people until a few months ago. The only blogs I knew about were political blogs and newspaper blogs. I never paid the other blogs attention. The way I look at it ~ I will have many new blogs in my warchest when the rave begins, haha. I can't imagine life without all of my blogs everyday. I was missing so much. All of this at the end of your fingertips. I love this post. Just keep on writing these beautiful blog posts, because many really do appreciate the creativity. WOW!!! I absolutely LOVE this post. Every part of it is so entirely true. You wrote this like magic~ Your pictures are so much fun, your thoughts are so welcoming to hear and all us bloggers can relate somehow, some way. Happiest Anniversary and thank you for your friendship! Here is the post so many of us wish we could write. You spoke for us so eloquently and truthfully. Happy Blogaversary, Sande! We recently found out that we will be moving. My first thought was sadness at leaving my family. My next thought was, "but I won't have to leave my blog friends." I have found a level of connection to creative women here in the blogosphere that I have not found offline. Your post eloquently expresses my own feelings about blogging. Congratulations on your anniversary! Happy Blog Birthday! I adore your beautiful blog and eloquent words - and I thank you for your wisdom! 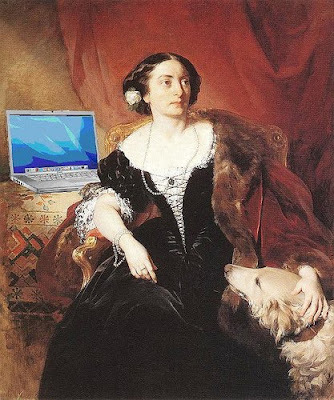 I love your fine art ladies sitting behind their laptops. I borrowed one for my blog and linked back to you. Blogging is the best, isn't it? I'm glad I can still say that after 1,039 posts. Why? I have no real reason or not even sure why. What I do know is you are real and you make ME a better woman knowing YOU.... knowing you are out there, knowing your quality of marriage, motherhood and business comforts me everyday. Thank you for that. I admire you Sande. Even from a distance, I admire you. I SO agree with every word you have written and some of the connections are truly unexplainable but are very real. Happy 1st Blog Birthday and we will cheers to 200 more posts this year together!!! Happy Anniversary, Sande! I LOVE these images! You're so right, and it's nice to have someone write it out loud...blogging is wonderful on so many levels but there are always those who just don't understand. But for those who do (like you)! I'm so glad to have friends who inspire and cherish each other and love my blog buds as much as those in the flesh. In fact, I think even we may underestimate our blog relationships. We may not have met in person but I'm sure we can all attest to at a few of 'virtual' friends who have made a real imapact on our lives. So true and so very well put! I remember how we worried about my brother with all of his online "friends." He didn't have a blog but had gotten involved with several common interest chat rooms and it just seemed so sad. So lonely... Now that I have a blog, I get it. And the fact that he found the woman of his dreams and a lifelong parter through that sad online existence is a true testiment to how very real those virtual relationships can be. I like to think of it as real time letter writing. My grandmother would find this very sad and disappointing of course - she was always a big proponent of the "handwritten" written word...but what can you do. The beat goes on. Wonderful post!I couldn't agree with you more! Congratulations on OUR one year anniversaries! It is so nice to share it with YOU! Nicely put. I agree with everything you say and totally own it as I myself was the biggest skeptic before diving into blogging. Rosemary at Content in a Cottage sent me. She has the best taste in blogs. I'll be back when I have more time to take a longer look around. Lots of pretty here! 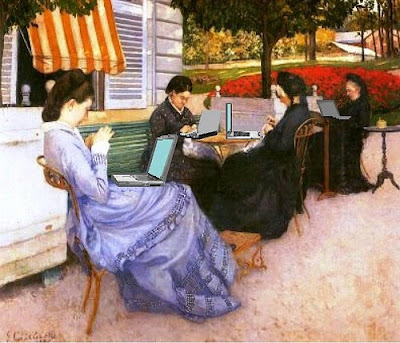 Love the laptop ladies. I have only been blogging for one month. In fact it is my one month anniversary. In one months time I have come to feel so attached to my blog and feel so very elated when someone, anyone responds. However, I can also feel so very despondent when no one does. So here I am blogging away to the ether and I found your lovely site. Congratulations on the completion of your first year. Your site is quite beautiful and I am sure that you will have many repeat visits from me as well as others. After I read this, I just wanted to stand up and shout, "AMEN!" Such great thoughts so perfectly written about the camaraderie of blogging! It inspires, uplifts and puts huge smiles upon my face daily! And just knowing that you are such a huge part of this blogosphere makes me even more giddy! Congrats on your one year anniversary - cheers to many more! Your words really hit home -- what you wrote is all so very true, your heart felt words spring forth from experience of one who has traveled that road for 200 post.....I have only just began and have had such wonderful encounters from so many talented and gifted souls from all over the world, bringing beauty to my world through the simple act of their lovely blog(s). Sande, if a standing ovation in print is possible, you've got one from me. Wonderfully well said! I cannot tell you how much I relate to your words here. I agree with everything. I couldn't express it as you have, but it's the same for me too. Love to you on your first anniversary darling, it's been such a pleasure to know you. ps the pictures are an absolute hoot! We hear you, we get you and we love you! Happy Blog Anniversary! Congrats on your one year!! I am just approaching my one year as well and your words are very encouraging. While blogging is so fulfilling, it can be frustrating at times too. You've inspired me~ thank you! I love you for this post! Your words feels so true to me especially about creativity....I love the blogging bubble and its circle of talented, creative, beautiful and generous women just like you Sande ! It was a great joy for me to meet you this year. Happy happy blog anniversary !! and cheers to many many years of blogging!! ps : and oh these pictures...so great! Happy Blog Birthday to one wonderful blog-ette! I wish you could see the grin on my face & the tear in my eye. I know that my friends & family think I am a bit off; blogging to them means nadda...zip..blatto. Your words gave me the confidence & the encouragement to know what I (we) do, is not as silly, or trite that I often feel. I know that the people through blogging have fed my soul unlike no others. Congratulations Sande on 200+ fabulous posts. So happy you share your talents, your family and your life with us all on a regular basis. You are a pure joy. Happy, happy blog-birthday. You definitely make the blogisphere a more beautiful place. On my first read through I didn't see the computers in the paintings. How absolutely brilliant. How did you do it? It's true what you say about this virtual world. Who could have ever imagined before venturing in the genuine friendships we've made, the things we've learned, the adventure we embarked upon. Bravo. You are the best of the best. Happy Anniversary - Blog On! We adore you! So well said. Happy blogoversery! I really enjoy your blog. I think it's because your passion for all the beautiful details in life is so apparent. This is such a lovely post. I would not understand the emotion of this post had I not started my own blog a few months ago. You have a beautiful blog and this post just blows me away. Thanks for sharing it. Your pictures are priceless and tell the whole tale!! Beautiful post. Beautiful blog. Thank you. I think you said it all perfectly. Here's wishing you glimpses of heaven in unexpected places! Oh, Sandi, first off, Happy One Year Blogging Anniversary! Has it only been one year? I feel like your blog is a legend -- and I mean that in the very best way possible! I completely agree with your touching words on the subject of blogging. Only a fellow blogger can understand the power behind it -- pouring our hearts into our posts and relationships. Sometimes, I feel like I have learned just as much blogging as I have earning my degree -- different, certainly, but both very valuable. What a beautiful post. Your blog is always so lovely to visit! I'm loving those pictures, too. Such a wonderful post! I am nodding in agreement! Have a sweet day! Amen! I really couldn't agree more. And for everyone out there, who doesn't know what blogging is (me about 3 months ago), you don't know what you're missing. People constantly ask me when I find the time to blog, as if it's a guilty pleasure. Just as you suggest, I just smile and think about how lucky I am that I have found a creative outlet and I'm able to share it with so many other amazing people. I'm watching FAR less TV and connecting with FAR more people--awesome! Sande, I just popped over from your comment on Nancy Lindemeyer's blog. I thought that, being another Victoria afficianado, you might like to know about a new blog I have started. If you love Victoria, then you have a story. I would love to hear it and share your story on Remembering Victoria. Your blog is beautiful... so glad I found you! Oh, great! My blog anniversary was just Monday, and it felt like such a big deal. How fun to see your post. I remember the first time I found your blog and how fun it was:). Such a lovely post! Congratulations on your anniversary! I loved this post so much, I had to mention it in my posting today...... hope you'll pop over for a quick visit. BTW, Happy Anniversary! And many more to come, we hope! Thanks for putting into words what I sometimes think about blogging. My blogging was started as a way and place to put what was on my mind, sort of a personal journal that others were welcome to visit if they so desired. But I do it first for me, then I do it for others. Most people I talk to about blogging look at me with a blank stare and don't understand. Sometimes they say be careful you don't know who is lurking out there. But a too have made the most delightful friends through blogging. This wasn't something I thought would happen, but has been a wonderful by-product of blogging. Wow! This is exactly how I feel. I have many that tell me that they don't have time for something like blogging. I hear the "I work for living". So do I. But I enjoy it so much. When friends don't have time for you, you are connected with friends we may never meet in our lifetime. It has made a world of difference in my life. Thank you for this. Would you mind me copying and pasting an excerpt from this and linking to this blog one day? I just love this. Gosh I'm always late to the party aren't I? Congratulations! 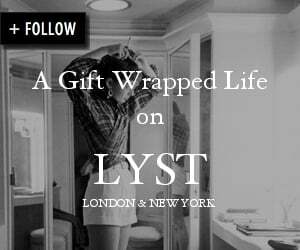 Your blog is a gift to the world! Happy Anniversary! So inspired. In fact, I just returned to blogging on Sweet Dreams Preppy after a two-month hiatus. I had heard some of the same expressions from friends and abandoned my true "voice." Also, I thought of you recently when I gifted a rum cake to a hostess-friend. It's my belief that cake tasted better because of the way it was presented. The beautiful round tin, wrapped in a big bow - it made all the difference! I'll be back, as long as you are "there"...I will be "here" reading! I just found your blog via CashonandCompany - what a great post, and so true! I've only been blogging since Jan, and my friends think I'm crazy. I'm so enjoying all the fellow bloggers I'm "meeting"...I do think there should be a blogger convention sometime so we can all meet, ha! How are you? Congrats on your Blogaversary! One year and almost 200 posts!! Love stopping by and seeing what is new up in Canada with your beautiful site! I'm starting a "Wellness Makeover" with ABC for the month of March, I'd love to have you stop by and follow along! I'm looking for all of the bloggy "support" i can get. LOL Congrats again! I WAS READING ONE OF BRENDA LEYLAND'S POST ON "A WORD FROM HOME," AND SHE MENTIONED YOUR BLOG. I AM SO GLAD I DECIDED TO COME AND VISIT YOU. YOUR BLOG IS VERY INTERESTING, AND I ENJOYED YOUR POST ABOUT LOVING TO BLOG. I ALSO LOVE BLOGGING, MEETING NEW BLOGGER'S, READING ALL THOSE INTERESTING BLOGS OUT THERE, IT'S A REAL DELIGHT. IT'S GREAT BECAUSE YOU CAN BE YOUR OWN PERSON. PLEASE COME AND VISIT ME AT "GIFTS FROM THE SEA." I'm not sure I've read a better statement anywhere about blogging! I'm glad I stumbled over here! Wow, I just happened upon your blog from another chicas blog and into your little realm of divine creativity! I so love your words of wisdom and truth and thank you for sharing them because the creative world IS listening to you and ever so needing support for one another. I wonder sometimes if anyone is reading, listening to what I write and create and then I remember that I do it because it makes my heart patter with wings when I am free to be me. Gracias for sharing your beauty! Guess I'm a year late, but so happy to have found you and this blog. I like what you had to say about blogging. I've a newbie. Just started my blog in August, and I have to say it's been tremendous fun. I retired in 1998. Just discovered blogs last spring. I'm now a follower of many. Thank you for sharing your creative spirit. For me that is what blogging is all about. Kathysue sent me over your way just a few days ago...we were "talking" about blogging and what it means. This is a very nice post. I think it was Valerie above (there are so...many,I've lost track!) who said that friends and family think she's a bit nuts to do this blogging thing. Yes, they think I am obsessed! But oh how I love it. I too work full time running a licensing busiess, but spend hours each day blogging in all its aspects. Love it love it! I absolutely LOVE this post, and particularly love the pictures! I have been blogging for 2 3/4 years now, and it is such a great part of my life...more and more, my real life and my virtual life are intersecting, and it is enriching my life in ways I have only begun to realize. Thank you for this provocative post in both words and in pictures (wherever/however did you come by them?). I'm relatively new to the blogging world, about 6 months, and have had a good deal of support, and then the asides from others; from the quilter "you seem to spent a lot of time on your blog", the reader "don't you get tired of reading all that stuff for research? ", the scrapbooker "how long are you going to keep this up", the casual friend with a question just answered via blog "oh, I just skim over what you write". tee hee You made my day and validated my blog. Thank you and keep on posting. You had me at your header the very first time I visited! I echo all the sentiments, you said it so perfectly. I have had so many of these thoughts rolling around in my head. My husband has been out of the country for a long time and blogging has been such a joy, especially on the days that are been long and challenging. I've just run into your beautiful blog and I have "heard" the words I was searching for about blogging. Thank you for giving me such a comfort in a day I was not sure about my blogging adventure...or better, I was disappointed because it is happening that a person (I don't know him/her) comments my blog writing things that do not have any connections to my articles and he/she sais he/she is in love with me or something like that. Awful I think! Thank you once again and,of course, I will follow your blog! 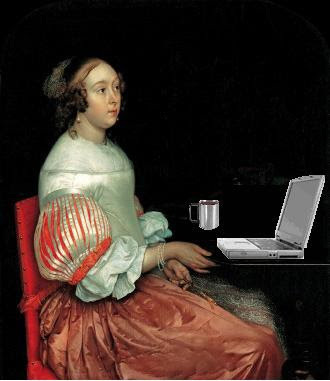 I love the images you managed to so wonderfully photo-shop (women on their computers!). I think blogging speaks about women in general whether they own a computer or not. It is about "our" gift of communication, commitment and artistry. All women are artists in some form or another. I look at blogs to be inspired by the color and the art. It is a leisure, that I am aware of and so I can understand criticism. Some of the images blow me away and I find myself dreaming of being affluent enough to afford some of the things that speak to me and it forces me to use my imagination instead. It's like going window shopping. That's what appeals to me most. You find awesome images and color that brighten up my day from my desk. I can dream from my home. That is the beauty for me. Very well said. I just started blogging in November and feel like I have finally found my voice. I have received the same comments you described from some of my friends. It shook my confidence and then I started self-editing. Eventually, I said "I love this thing called blogging and I'm going to keep doing it!" "Don't read my blog if you don't get it" I have met so many wonderful women out there. And I will keep blogging until I run out of things to say. Glad to meet you Sande! Happy Anniversary! wonderful post. I am a newbie and am just finding out the things you so eloquently spoke of here. the lovely Terri of La Dolfina recommended me to your blog and I am so pleased she did. I have just discovered your blog ( through A Refocused Life) and what a lovely discovery! I found your blog through Slim Paley. Love it!!! I'm one of those blog-a-holics. I blog every day. Mainly because I just like to write. And I'm [a little] bit creative so I like to show my readers how to do a few things. Maybe I AM narcisistic. Do you think so???? Oh well, if I am, I am. I'm 51 and I can do what I wanna do! Thank you for your wonderful blog! Just now seeing this from Monday: have long been a follower of this blog and love your every post! I agree with every word Style Redux said! Looking forward to more! Wow, I think you have really gotten to the center of what it is to be a blogger. Thank you for expressing perfectly what it is exactly that I feel in my heart. I saw this post mentioned on Kathysue's blog, and am so touched to have come by. You have so eloquently spoken what I feel about this new world of blogging. Thank you. Oh Canada......you made me like sports! Charlotte Moss Giveaway Winners are.......!